The candidates’ victory came after a late start, infraction hearings and increased voter turnout. Trenton Stone and Mahin Tahsin will be USC's Undergraduate Student Government president and vice president for the 2019-2020 academic year. The write-in ticket won the 2019 USG election with 2,189 votes. Their win comes after controversy erupted in committee hearings, where competitors voiced accusations that Stone and Tahsin's canvassers cast votes on behalf of other students. The canvassers told the meeting they were only showing students how to use the voting application. The Elections Commission unanimously voted against the complaint and decided no Election Code violation occurred. The accusations came during the election, but both Stone and Tahsin said they don't feel like the incident affected the outcome. "It came towards the tail end of the elections anyway, but it happens and there are misunderstandings and hopefully it's resolved," Tahsin said. 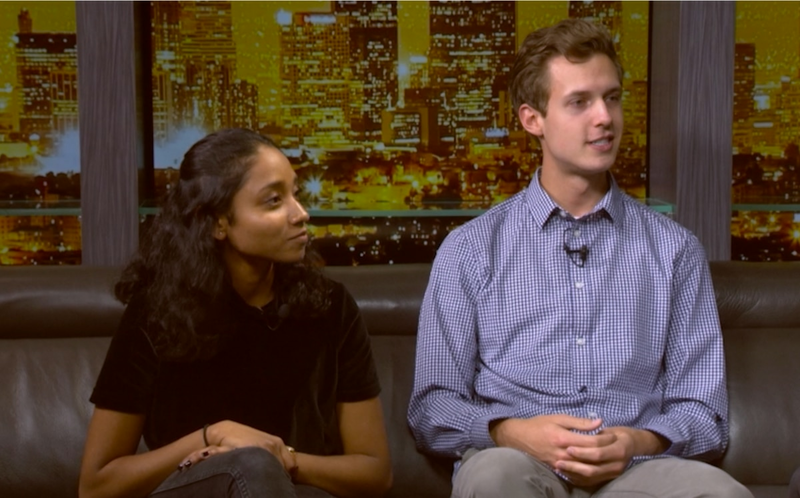 Their campaign centered around the idea of increasing student input in the university's administrative decisions—particularly when it comes to selecting a new president for USC. "It's invaluable just knowing the magnitude that our decisions and actions will have on the future of USC, presidents usually serve for many, many years," Stone said. "The president still hasn't been chosen and I think that we have a great voice, especially with the new presidency coming in. I just hope that we are able to garner the respect and the relationships with administrators." This year voter turnout increased slightly from 4,627 student voters to 4,817 – an increase of 4.1 percent when compared to 2018. Nearly 25 percent of USC's undergraduate student body voted in the election. The ticket with Michaela Murphy and Meagan Lane won 1,807 of the votes. Maxwell Brandon and Grayson Adler, the other write-in ticket, garnered 554 votes. 267 students voted to abstain. "Of course we want to see more of the student body engaged and active in the USG elections but we also know that we do have a long way to go," said current USG President Debbie Lee. Candidate Brandon attributed the slight increase in voter turnout to all the legwork he and the other candidates did while campaigning. "I would like to think its because all of us put in so much work on the ground. We were really out there on Trousdale every day trying to get people involved," Brandon said. "People really should get out to vote. There's a lot of people around the world that don't have the right at any level." "We can't know exactly why voting increased by 4.1 percent," said Emily Quirke, USG Co-Director of Elections and Recruitment, "but it may have been due to the large number of candidates this year, as well as the unique nature of the elections with write-in candidates." The results of the senatorial race were also announced Tuesday night. The 12 USG senators for the 2019-20 academic year are as follows: Sara Khoshniyati, Emily Donahue, Haley Garland, Hailey Robertson, Angela Chuang, Benjamin Shiff, Ben Rosenthal, Christopher McMorran, Randi Anderson, Omar Garcia, and Rose Ritch.